Follow the adventures of Angus and Hugh MacNaughton as they start a second year at Sasekile Private Game Reserve. This time, oldest brother Angus keeps a weekly journal in which he continues to write about their riotous guests and staff interactions. Angus is involved in a romance which softens him up a bit and makes him more tolerable to his fellow workers. While his interpersonal relationships are improving, his younger brother Hugh runs the danger of breaking down his with an arrogant attitude when he gets promoted. To make matters interesting, their sister Julia forms a relationship with senior head ranger Alistair “The Legend” Jones. Reality comes calling for both brothers as Angus is ditched, Hugh gets demoted and their fragile fraternal bond is in serious danger of shattering. 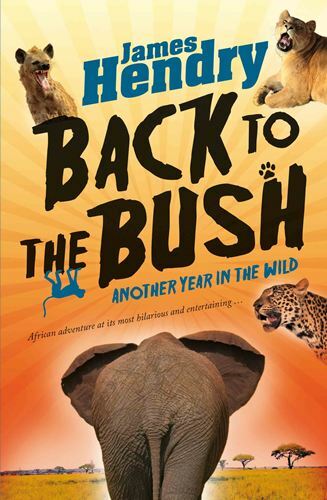 In this sequel to A Year in the Wild, Angus entertains with accounts of a roving rogue elephant, baboons that become a real nuisance, a simmering labour protest and the coming-of-age of both brothers. You will find yourself laughing at and with them, cringing at some of the guests who pass through and secretly wishing you could “escape” to the bush for a while.